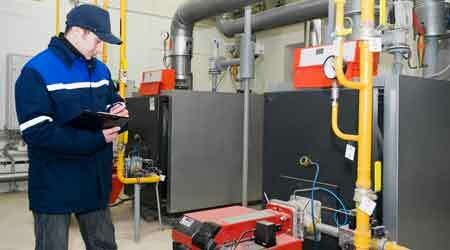 In many facilities, HVAC system operators also contribute to energy waste. Are operators properly trained on system operation? Poor training on new systems, poor IOM documentation, or staff turnover all can lead to increases in energy waste. Training is essential, whether it involves a newly installed system or new employees. Operators require a complete understanding of the way a system should operate and what to look for when it is not operating properly. Training for new technicians is essential because as time goes by, people retire or find new opportunities, and new staff must take over. Videotaping original training sessions can provide valuable and ongoing training resources, and creating a systems manual internally also can be helpful. In recent years, commissioning agents on new installations often have provided a systems manual. This is an excellent documentation to have, and managers should ensure it covers these areas: design system setpoints, sensor-calibration frequency, sequence of operations, future testing procedures, and a snapshot of the system performing to design. For older systems or non-LEED projects, such document more than likely does not exist. In these situations, operations staff can use as-built drawings, IOMs, and original design documents. Proper maintenance of controls systems and comprehensive knowledge of the system by technicians and operators are essential strategies for managers seeking to uncover and prevent energy waste. Taking a proactive approach also ensures occupant comfort, in addition to providing bottom line benefits to the organization.